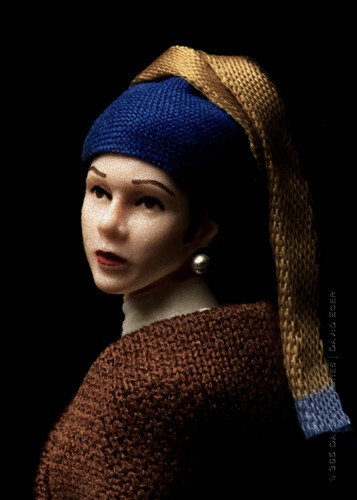 I have a special place in my heart for parodies of iconic works of art but Dave at 365 Days of Clones has taken tribute parody to the next level. 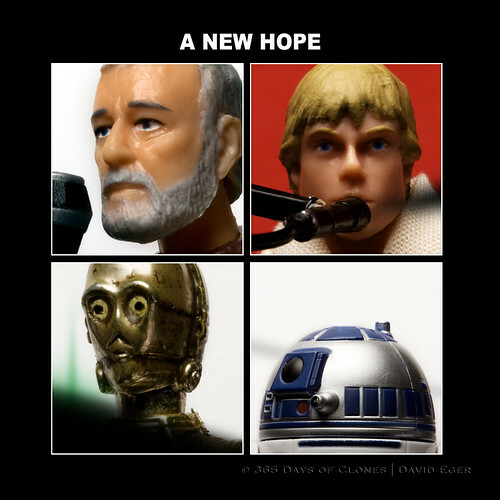 After posting a new photo of Star Wars Clone action figures everyday in 2011, Dave has started a series “52 Weeks of Star Wars” in which he combines these already well-known characters with pop culture spoofing movies, albums, photographs and paintings. 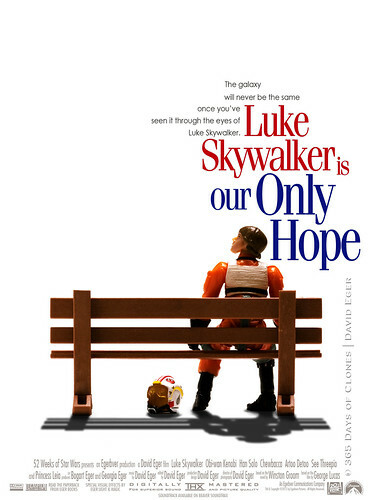 I’m not even a big Star Wars fan but these images are incredibly creative and superbly executed! 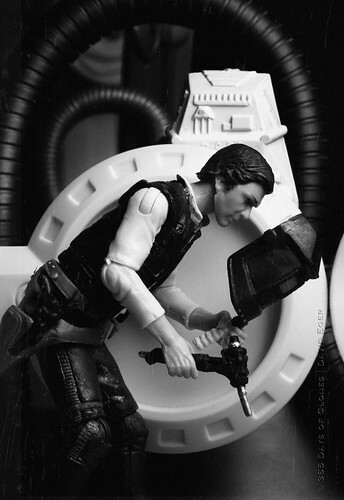 I was blown away to see a version of “Power House Mechanic Working on Steam Pump” by Lewis Hine. This is one of my favorite photographs because of its composition and the juxtaposition of industrial factory elements and the human form. I recognized it immediately! 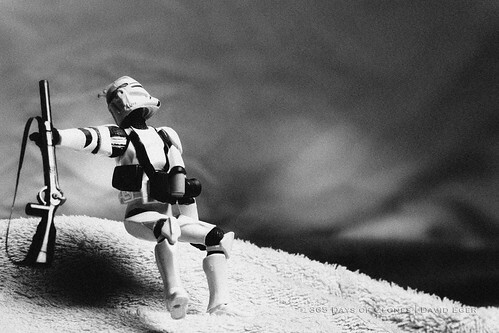 The Clone version of “The Falling Soldier” by Robert Capa is amazing too. The picture is really well done, mimicking the soldier in mid-air and the hazy gray of the landscape. It’s also an interesting choice to duplicate since the original image was criticized for being staged. 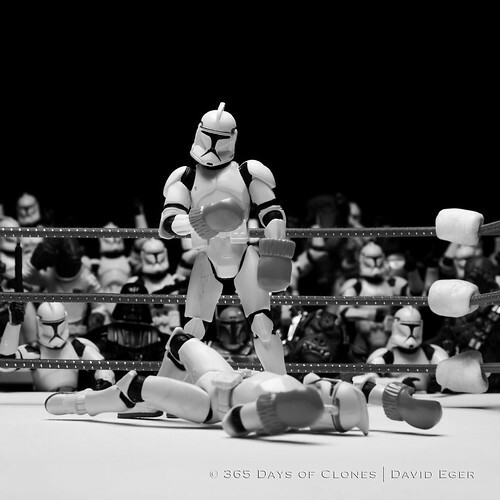 365 Days of Clones is definitely creative enough to fill out the remaining second half of the year with awesome images. But if I can offer some unsolicited advice, here’s what I would parody with Star Wars characters. 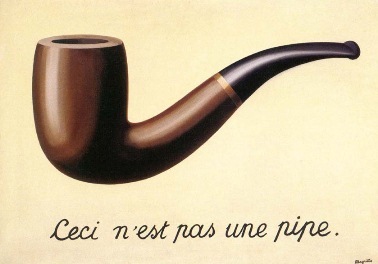 René Magritte’s surrealist classic “Ceci n’est pas une pipe” is an easily recognizable image and would be so simple to stage with action figures. I’m thinking “Ceci n’est pas un Ewok” would be good. But an even better version would be C-3PO and R2-D2 with text that reads, “Ceux-ci ne sont pas les driods que tu recherches”! This is appropriately enough Obi-Wan’s famous line and the classic Jedi mind trick. If you didn’t already know “The Scream”, it has been in the news recently after one of the four versions was sold for almost $120 million. Given C-3PO’s anxious nature, the panic and desperation captured in “The Scream” makes this a logical Star Wars portrait of the protocol droid. And really, with the big eyes, oblong head shape and golden skin, this guy looks a little like C-3PO already. There are big heroic themes in Star Wars and so I’d also like to see the characters do something grand and historic like “Washington Crossing the Delaware” by Emanuel Leutze or “Liberty Leading the People” by Eugène Delacroix. I imagine either of these could be done with good guys or bad guys. I can picture Vader or Obi-Wan in the first image as Washington, while a pile of dead clones would be good in the second image. I got plenty more where that come from but I think I’ll just sit back and enjoy what 365 Days of Clones comes up with! Ahaha love the first two!